Are you tired of eating the routine stuff? Women often cook mutton, beef or pork for their family or guests, as meat is loved by almost everyone. However, one can really get bored eating the same thing again and again. So, there has to be a new recipe, which is not cooked regularly, but can be served on a special occasion. In such a situation, you should look for making a deer jerky, which is full of proteins, and is healthier than any other form of meat. Even if you are on a diet, this recipe will not add any excessive fat to your body, so you can eat it without worrying at all. Moreover, you can cook it in the oven, which will save you plenty of time. You can simply prepare it with all the ingredients and then allow it to cook itself in the oven on a certain heat. In the meantime you can do your house chores and any other thing you like. You will not have to worry about frying the meat. However, you should check it in the oven after some time, as you wouldn’t want your recipe to get burnt. First of all, you have to preheat the oven at 130 to 150 degrees Fahrenheit. The heat should not be more than this, so make sure you have double checked. 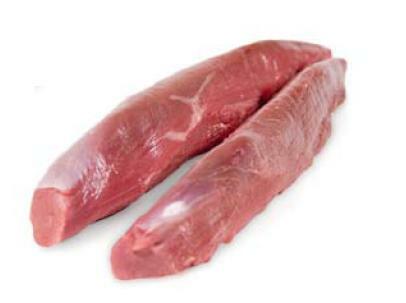 Using a sharp knife, slice the meat into long strips, and add it to a large bowl. You can add some seasonings of your choice to the bowl and allow them to settle in nicely. One by one, lay all the meat strips on the baking tray and place it in the oven. Make sure that the oven door is not completely closed, so that the air keeps on circulating properly, and help cooking the meat. You can now start baking the meat. It has to be kept in the oven for a total of four hours, but make sure to flip the pieces after a couple of hours.